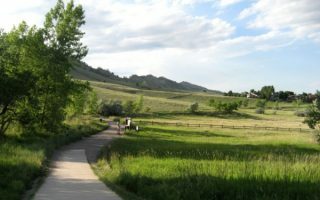 Running in Boulder, CO. Best routes and places to run in Boulder. Boulder, Colorado is one of the country’s havens for those who love the outdoors. 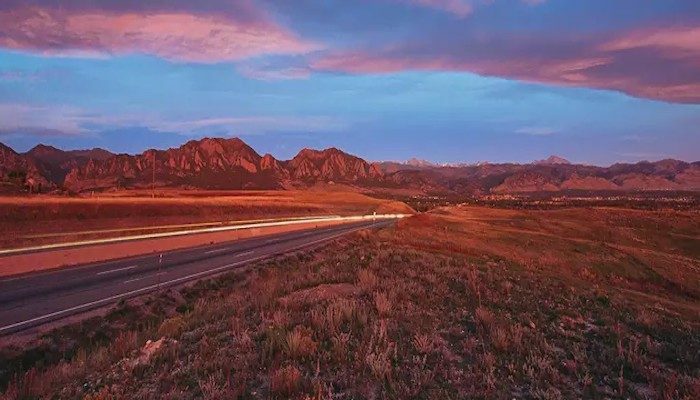 Located at the base of the foothills of the Rocky Mountains, 25 miles northwest of Denver, Boulder’s name comes from Boulder Creek, which serves as the city’s primary water flow. 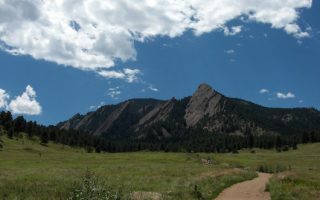 The Flatirons, regarded as one of Boulder’s prominent symbols, are slabs of sedimentary stone tilted up on the foothills, located in the West part of the city. This city of 100,000 is home to the stat’s largest university, The University of Colorado, and is also recognized for its high rankings in health, well-being, quality of life, education, and art. Our guide running in Boulder features several of Boulder’s scenic highlights, plus some accessible trail running through a variety of dramatic landscapes. 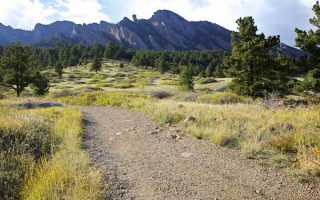 Among the best places to run in Boulder are the 8-mile Boulder Creek Trail, which passes through the University of Colorado campus, downtown, and into Boulder Canyon; the Mesa Trail; and other wonderful trails in the foothills. Another highlight is the 5 mile loop around the Boulder Reservoir and adjacent Boulder Valley Ranch trails. For a true challenge, Magnoli Rd. offers the steepest paved maintained road in the United States. 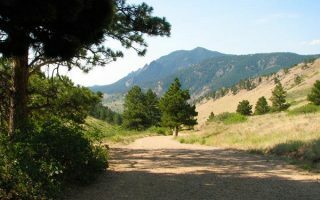 Boulder is also a mecca for trail running. We’ve included a few options, but really it’s the tip of the iceberg. Note that Boulder’s elevation is 5,300 feet. Also, the city has a very sunny climate and many trails are exposed. So plan accordingly! Boulder's signature, 8-mile paved path has three sections. The eastern 3 miles is more open, passing through grassland. Miles 4-6 are through the University of Colorado at Boulder, downtown, and several parks. The hilly last 2 miles go into Boulder Canyon. The Mesa Trail runs along Boulder’s most beautiful mountain parks, dramatic Flatirons, scenic forests, and meadows. A great opportunity to get some running/hiking around Boulder's famous Flatirons, just 1 mile south of downtown. Lovely, open trails, some passing through meadows, offering great views. Not too technical, but can be steep. The Wonderland Lake Park/Foothills Loop is a tranquil and scenic spot for running. 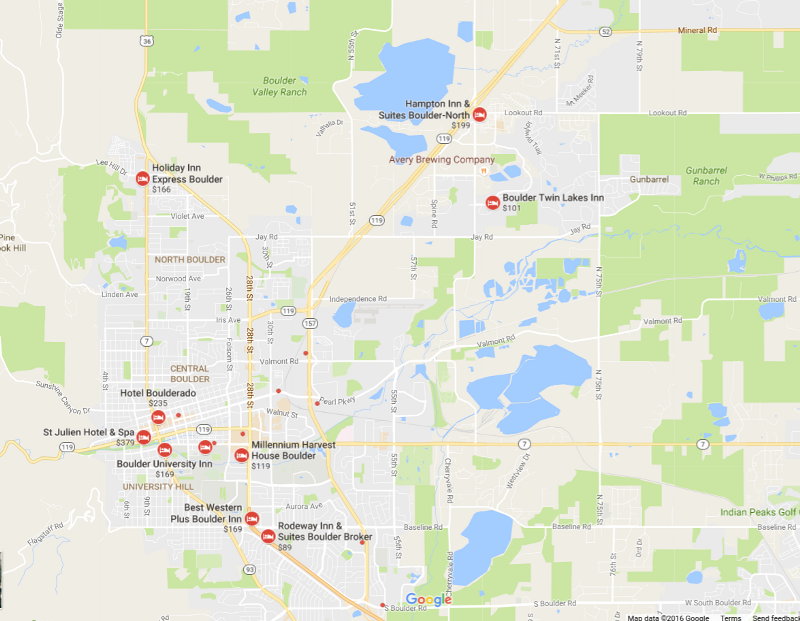 Roughly three miles north of downtown Boulder, Wonder Lake Park, Foothills Community Park, and Foothills Community Garden make for a nice 4 mile loop. 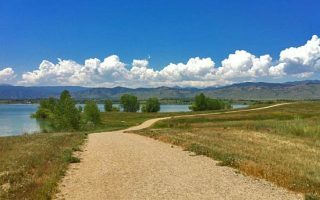 One of the Boulder's most popular running and cycling destinations, there are trails around a reservoir, and through lovely open ranch lands. We offer several loop options. Earn bragging rights by running (or crawling) on the steepest maintained paved road in the United States. Magnolia Rd. runs for 13.5 miles between Boulder Canyon and Nederland. The first 5 miles are the steepest, up to 17% grade! 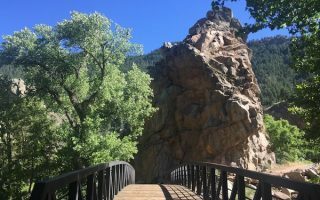 This is one of the more challenging, yet accessible trail runs near Boulder. The 3.8 mile loop features 1200 feet of elevation gain, but you'll be rewarded with great views of foothills, nearby mountain peaks, and the city of Boulder. Long, flat, and open, the new US 36 Bikeway is a decent running option. This new, paved bike path runs from the south end of Boulder to Westminster for 16 miles. The scenery is nice but the path itself is right alongside the highway. 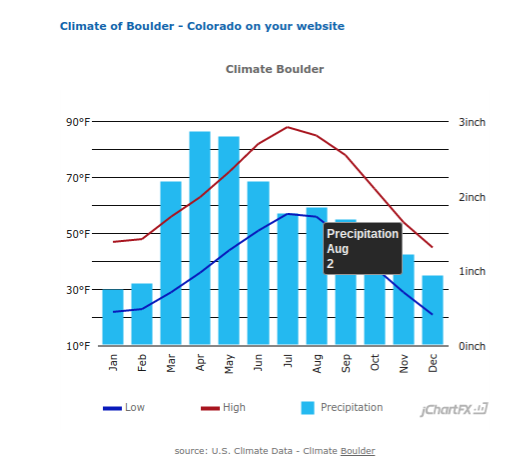 Due to the city’s geographic lift, the mountains to the West often dry out the air passing over the Front Range, creating a fairly dry climate, year-round. In-turn, Boulder is often shielded from the snow that blankets other parts of Colorado. Winters in Boulder are fairly mild, with average hights in the mid to upper 40s. Lows dip into the 20 — so there can be ice before the sun gets to it. Summers in Boulder are very warm and dry. Average highs are near 90, but nights still get cool even in height of summer. Boulder Running Company — Centrally located, just north of downtown, and one of Boulder’s main running stores. Group runs each Tuesday at 7:00 from the Union Square store. Fleet Feet Boulder — Also just north of downtown. 3–6 mile Group Runs: Monday Night Fun Run at 6pm from the store and am 8am Saturday Breakfast Run from the store as well. Newton Running Lab — Right downtown in the main shopping rea. Running form clinics every Saturday at 10:00am. Held at store location. The Bolder Boulder 10K — Takes place in May. One of the world’s largest races. Run Happy Half Marathon — Takes place in May. 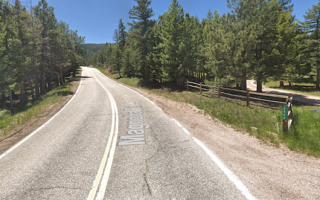 Boulder Backroads Marathon and Half Marathon — Takes place in late September. Boulder Rez Marathon and Half Marathon — Takes place in October.